In fact, more than half (53 percent) plan to take a road trip in 2019. The good news for those families is that gas prices have averaged nearly a quarter cheaper so far this year compared with the first few months of 2018, AAA reported, pointing out that summer gas prices are also expected to be cheaper than they were a year ago. Meanwhile, travelers in the South are more likely to be making plans for a family trip this year (62 percent) compared to travelers in the Northeast (35 percent), the survey found. 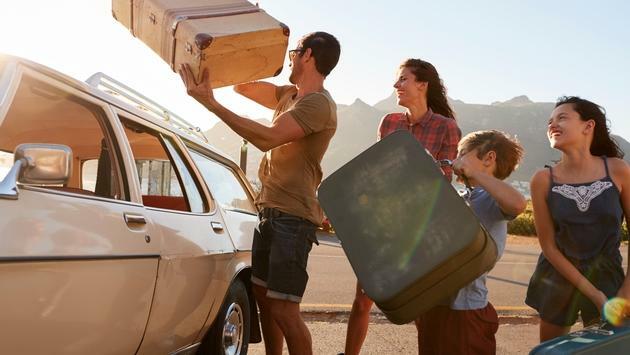 "The great American road trip is still one of the best ways for families to relax and reconnect with one another," said AAA Travel Information & Content executive director Stacey Barber in a statement. "This is quickly shaping up to be another busy year for family travelers, both on the roadways, as well as other popular travel destinations and attractions. To make the most of their vacations, AAA recommends families plan and research as far ahead as possible to avoid missing out on popular activities and fun." While planning and budgeting for a family vacation can be daunting and sometimes the biggest obstacle to getting away with your loved ones, there are plenty of tips and tools to make the process fun and easy. First, consider working with a travel agent who can take the stress out of planning while also saving you money and ensuring you've got assistance in the event that something goes wrong. The U.S. Travel Association's Vacation Planning Tool is also extremely helpful if you and your family choose to do it yourselves.